It’s fitting that the first month back to school has been designated Attendance Awareness Month. A child’s success in school is built upon their ability to show up. And when buildings and children are unhealthy, attendance suffers. In fact, chronic absenteeism at a young age is a powerful factor in educational attainment, graduation rates, and even adult success and health. Healthy Schools Campaign is a convening partner of Attendance Awareness Month, a national event led by Attendance Works to raise awareness about the critical connection between attendance and achievement. In order to support this work, we have been helping Attendance Works spread the word. We’ve also released a toolkit that focuses on providing educators—particularly school district decision-makers —with knowledge and practical guidance for creating meaningful change to address health-related chronic absenteeism. The connection between student health and chronic absenteeism is clear and direct. Both chronic and acute health conditions can prevent students from attending school. Asthma and acute illness, two of the leading causes of absenteeism, are often directly linked with the ways schools are cleaned. And that means a dedicated green cleaning program can significantly reduce the amount of absences that result from asthma and the spread of acute illness. Asthma is one of the leading causes of school absenteeism, accounting for one-third of all days of missed instruction. Best practices and proven interventions include green cleaning programs that limit exposure to chemicals with asthmagens and improved indoor air quality. Acute illnesses spread like wildfire through schools this time of year, leading to absenteeism. Roughly 40 percent of school-aged children missed three or more days of school in the past year due to acute illness. Green cleaning programs focus on prevention, target high-touch and acute areas, and clean for health. Handwashing education and support are crucial components of green cleaning programs in schools and universities that are essential in the prevention of acute illness from spreading. Many school facility managers that we’ve met through the Green Cleaning Award and most recently, at our Green Clean Schools Leadership Institute, have discussed ways that they are working with school health departments and nurses as well as administration to track how green cleaning is affecting absenteeism. The results are clear: When schools are healthy, students are healthy—and they show up. 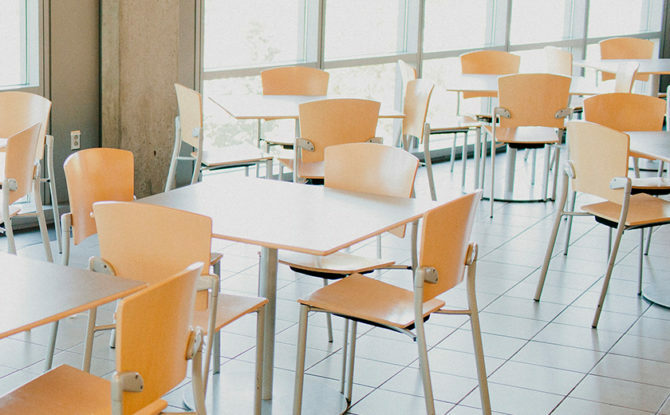 As you spend this month promoting attendance awareness within your school, pay attention to how cleaning is contributing to your student absenteeism rates. Learn more about green cleaning with our 5 Steps to Green Cleaning in Schools. And if you want to know even more, check out the first-ever Green Clean Schools Forum at ISSA/INTERCLEAN coming to Chicago next month, which will feature panels and workshops designed to dive into the Five Steps to Green Cleaning in Schools with panels on how emerging green technologies affect absenteeism as well as a panel on healthy infection control practices.